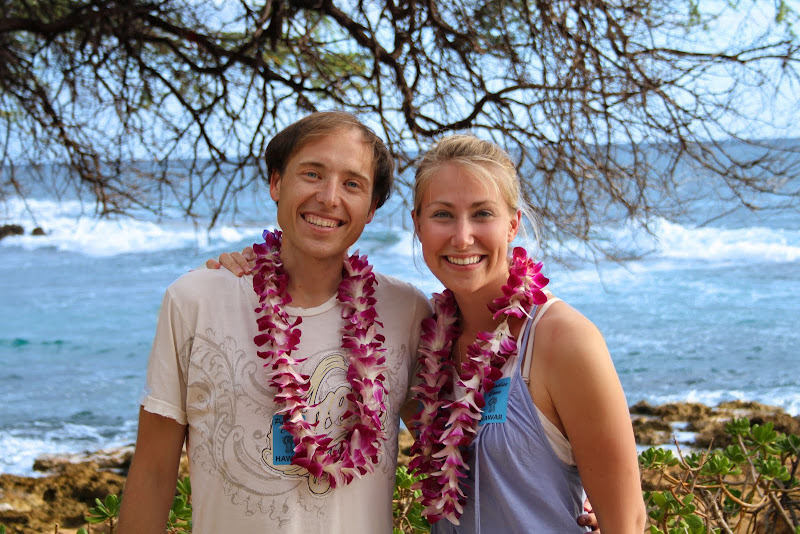 Tomorrow we're shooting the wedding of Tommy and San at the Turtle Bay Resort on the North Shore of Oahu. EXCITED doesn't even begin to describe our feelings! We've had the chance to enjoy this wonderful island for the last couple of days and I thought I would do a few posts similar to the Key West posts from last week about all of the things we've seen and enjoyed. This is the view from our balcony. INCREDIBLE! 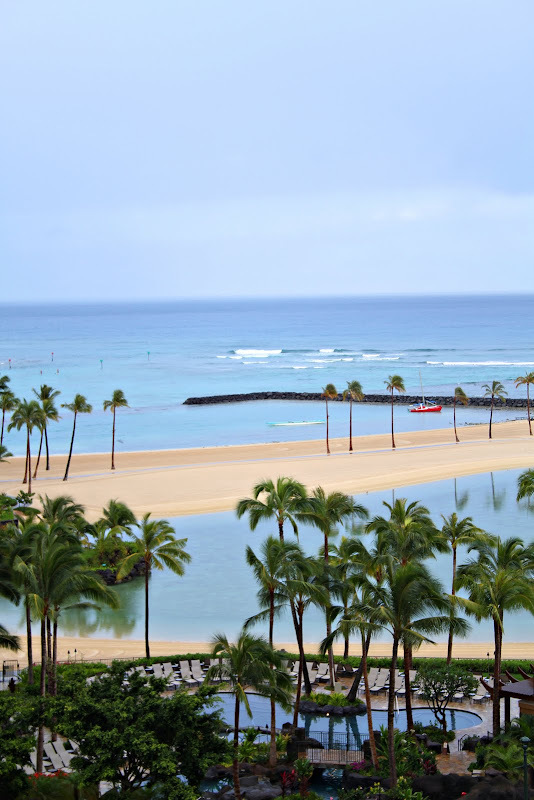 We chose to stay at the Waikiki Marina Resort. This was somewhat confusing at check in because it's a hotel that's actually inside of another hotel named Ilikai. The Ilikai is featured in the opening credits of the classic show Hawaii Five-0. 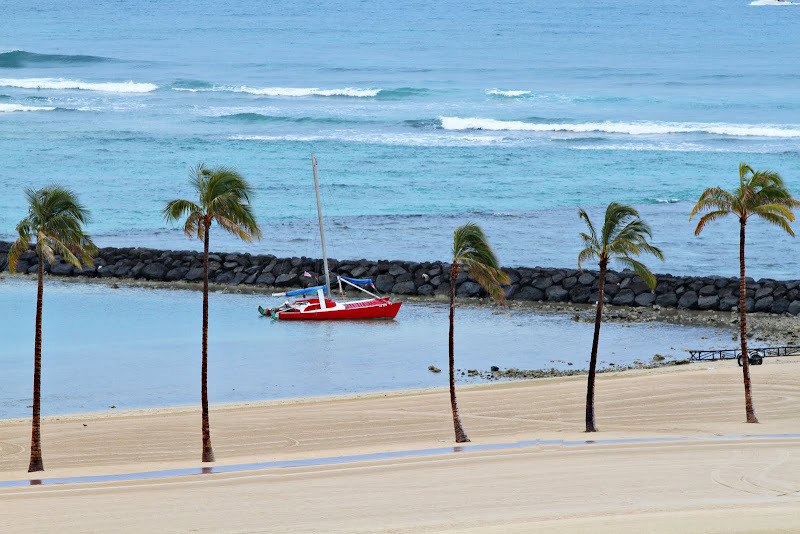 Just after the shots of the rolling waves and the quick snaps of the city shoreline, the hotel they zoom in on as Jack Lord strikes a pose is the Ilikai. How funny is that! The hotel looks exactly the same today on the outside - White with bright turquoise balconies, but the rooms were all recently renovated and they are beautiful! We have a full kitchen with granite counters and floors, a nice sitting area, and super comfortable bed. And the amazing ocean view is the cherry on top! We can watch the surfers doing their thing from early morning well into the evening. 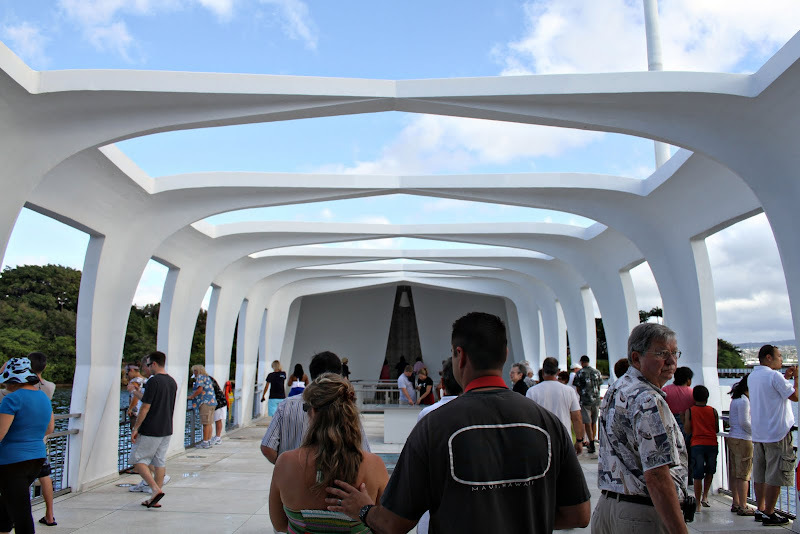 Heading to Pearl Harbor to visit the USS Arizona Memorial was first on our list. We were able to get there early enough to get tickets for the first boat out to the memorial. Tickets for the memorial are FREE and usually gone for the day by noon, so the earlier you can get there - the better. 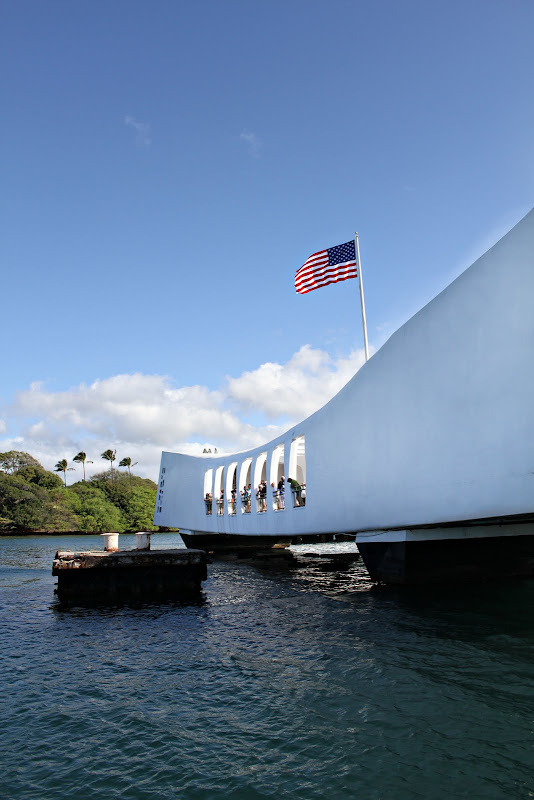 A quick history brush up on Pearl Harbor: The USS Arizona is one of the battleships sunk during the attack by Japanese imperial forces on the morning of December 7th, 1941 in Pearl Harbor. This attack led the United States to their involvement in World War II. 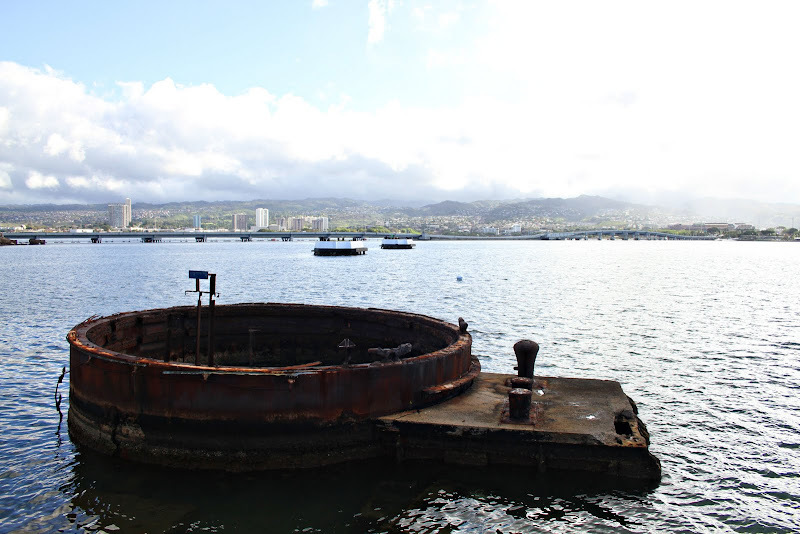 The sunken remains of the ship still lie in Pearl Harbor, with 1,102 of it's 1,177 sailors entombed inside. Because it lies in water 30-35 feet deep, several parts of the ship can be seen from above water and large portions of the full length of the ship can be seen through the water below. And the buoy in the middle of this photo marks the end. 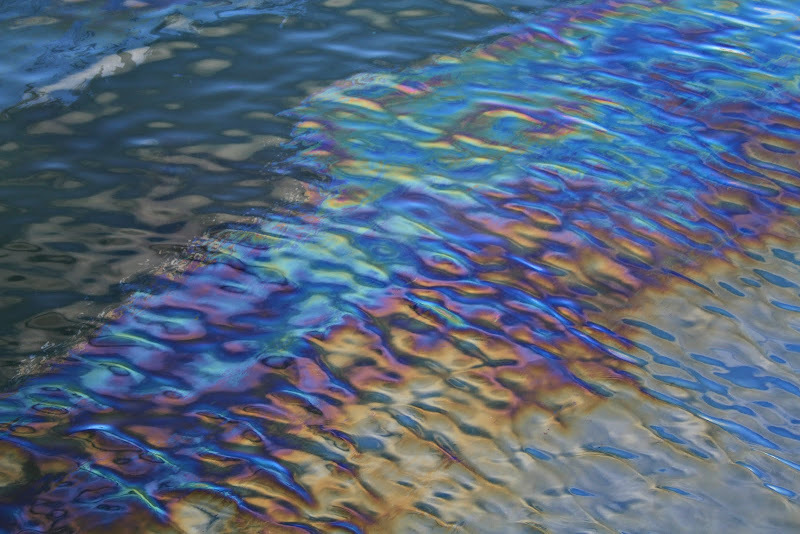 The ship still holds 500,000+ gallons of fuel and it releases approx 2 gallons of oil a day which can be seen on the top of the water. 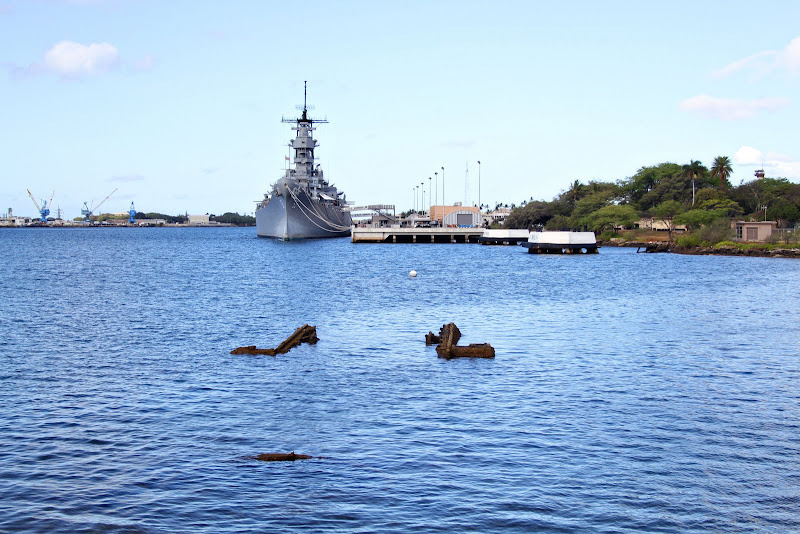 The memorial was dedicated in 1962 and the guides (who are men and women from both the Navy and the National Park Service) are wonderfully informative and we really enjoyed our visit to Pearl Harbor. 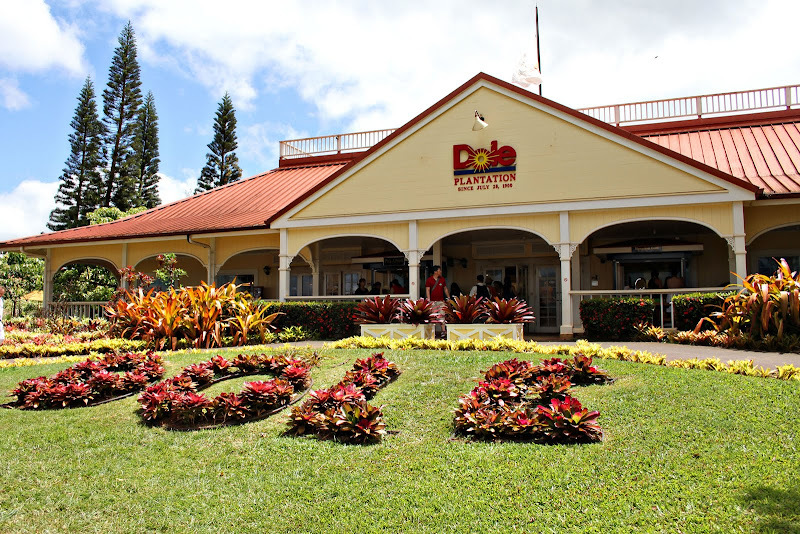 Next, we made our way to the Dole Plantation. 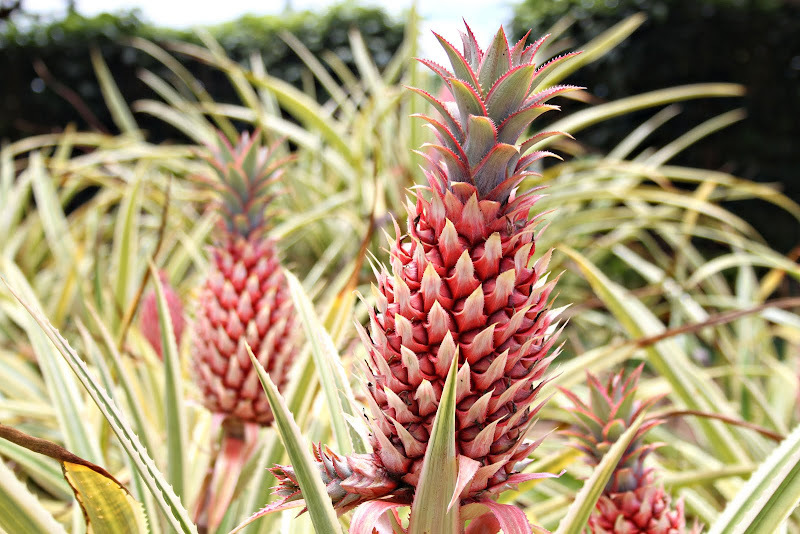 We took a ride on the Pineapple Express which is a mini train that takes you through the fields and gives you tons of information about the land and how Dole became what is is today. From the train there was a beautiful view of the mountains. 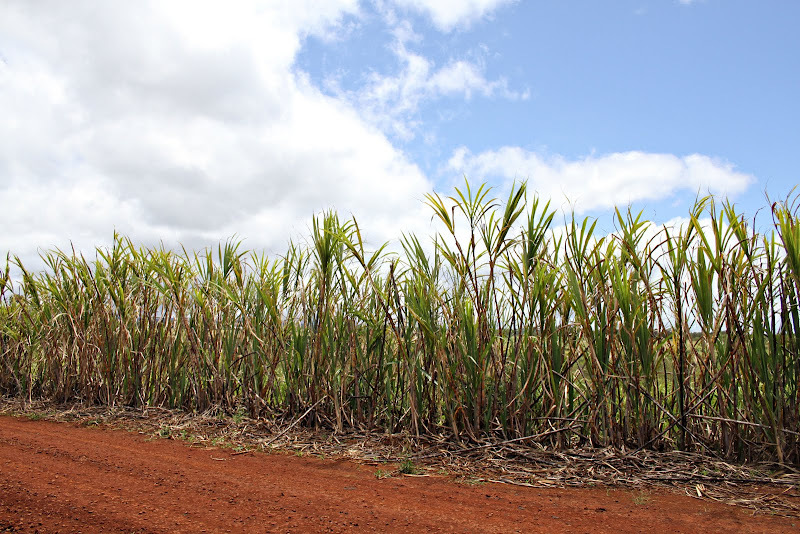 This is a row of Sugar Cane. 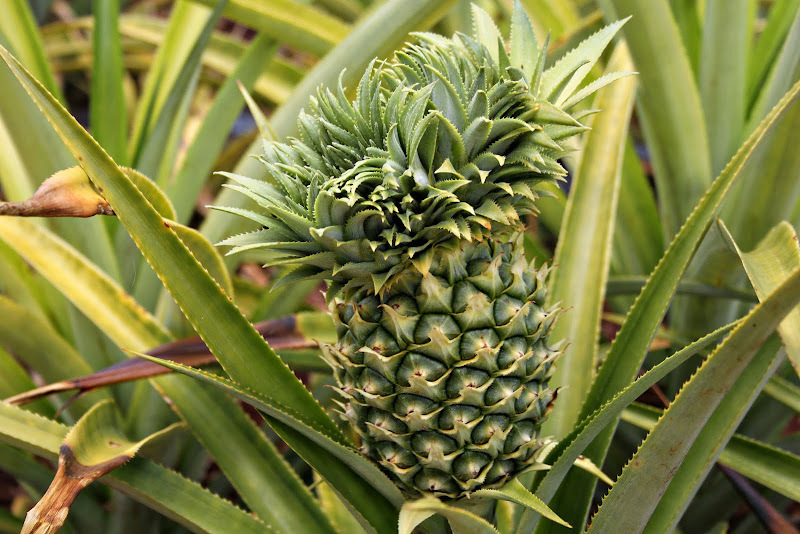 There were many other things growing in the fields other than pineapple. The dirt in Hawaii is a bright rusty red color because of the high amount of iron-oxide from volcanic ash. These little babies sure are a labor of love! 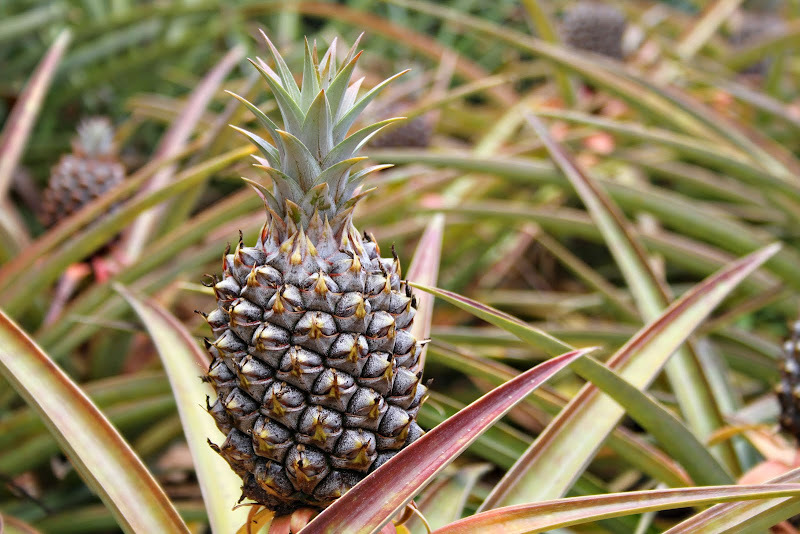 All of the pineapples are planted and picked by hand. It takes 20 months after planting for it to produce its first fruit, then 15 months to produce its second. After that, the fields are knocked down and new crop is planted. Of course we walked out with a bag full of pineapple flavored goodies - I love pineapple! 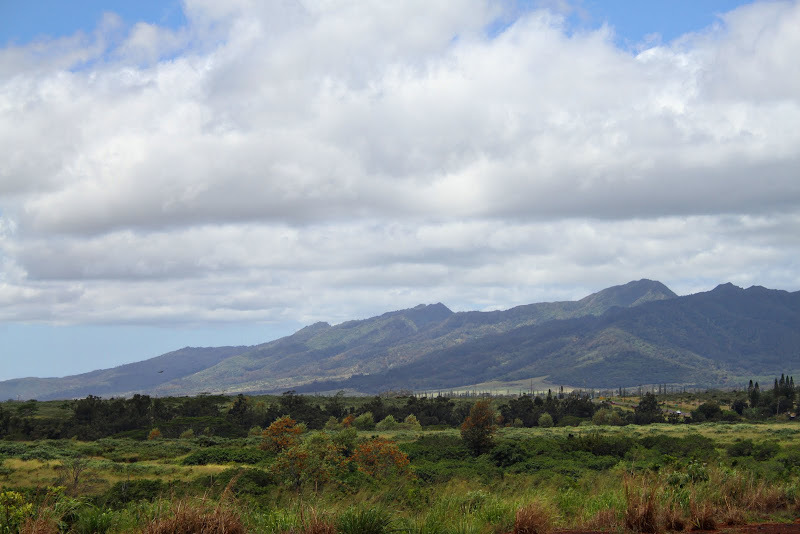 After the Dole Plantation, we made our way further North to Hale'iwa. It's a small surf town with shops and restaurants. We were bound for Giovanni's. 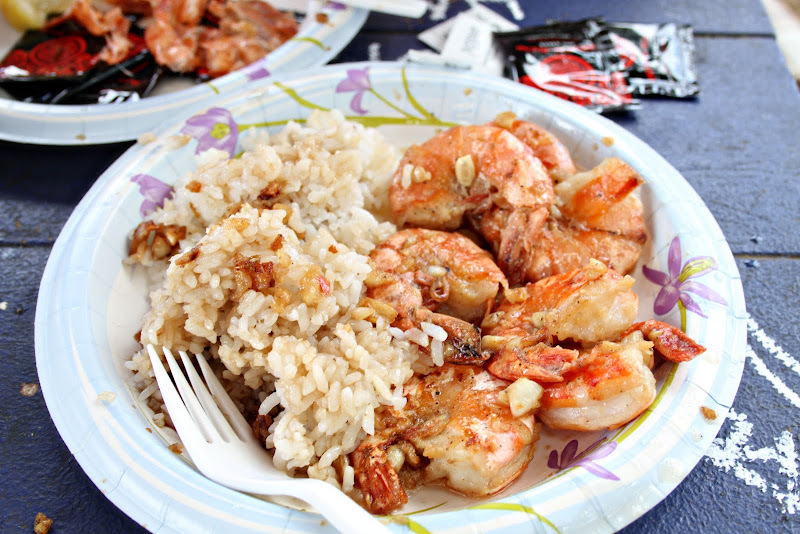 This is a famous Shrimp truck serving a plate of shrimp scampi and rice. 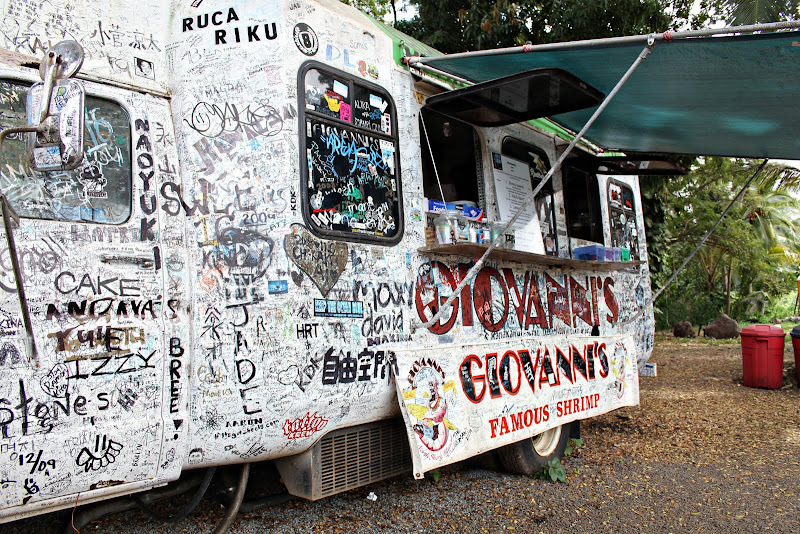 There is another Giovanni's truck on the North Shore which is the original. This is the best $13 you will spend! Again, I'm not much of a seafood lover, but nothing beats this stuff! When we first showed up this place was packed! but by the time we were done our lunch I was able to get a picture of the surroundings. 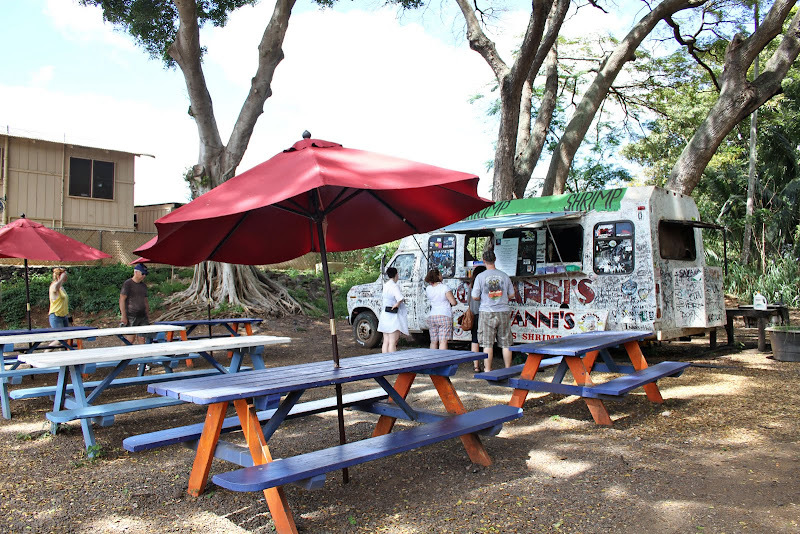 This place is definitely a must see (whether this one in Hale'iwa or the truck on the North Shore). You won't be disappointed!! Here are a few more shots of the beach from our balcony. We've been waking up by 4:00-4:30 Hawaii time because of our east coast time clocks - and it's so peaceful and beautiful that early in the morning. That's it for our first day in Hawaii. 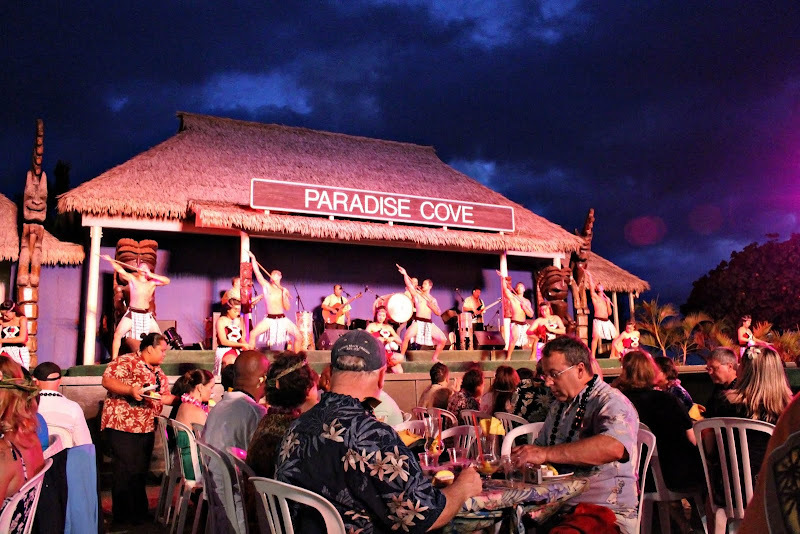 Here's a preview of our night at the Paradise Cove Luau - All of the details from the Luau will be coming soon. Beautiful real orchid Lei's and fantastic food! I really enjoyed your pictures from Pearl Harbor. 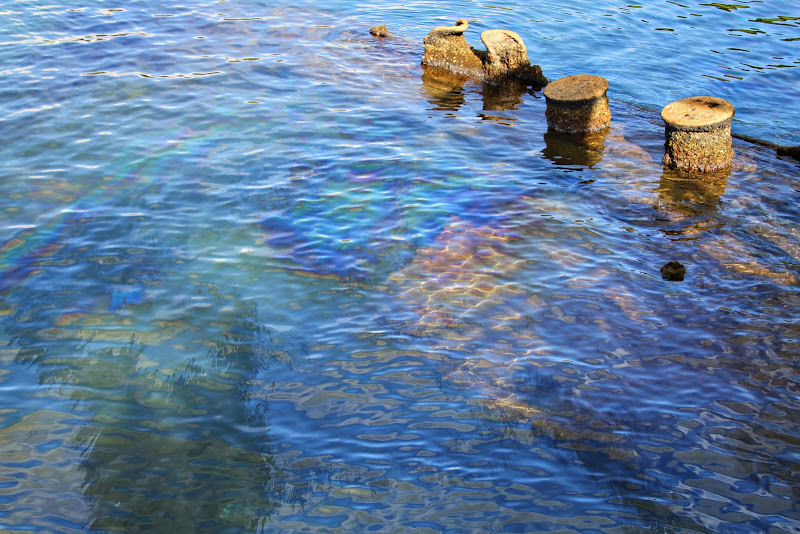 I think the oil on top of the water is a work of art.